Beyond pizza, burgers, hot dogs, and sandwiches, this arcade eatery also indulges cravings for sweet and delicious desserts and drinks. Enjoy fountain sodas, coffee drinks with espresso, tea, smoothies, and milkshakes. Additionally, they have forty-five flavors of Hershey’s brand ice cream for you to choose from! 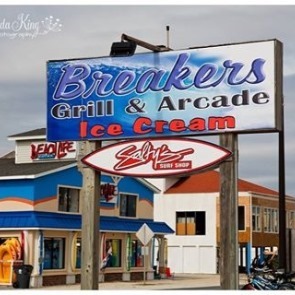 Visit Breakers if you want to feel like a child again, eating pizza and ice cream, drinking milkshakes, and playing as many arcade games as your wallet can handle! We’ll admit it: this unique Italian ice shop is so good that it also made our list of fantastic treat shops on the mainland! 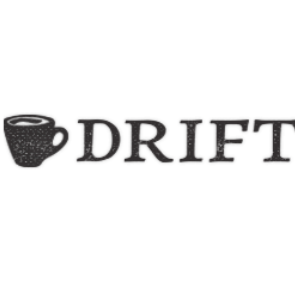 However, their island location is extremely convenient to get to and offers the same amazing variety of flavors that their mainland location does. There are over fifty different flavors to choose from! 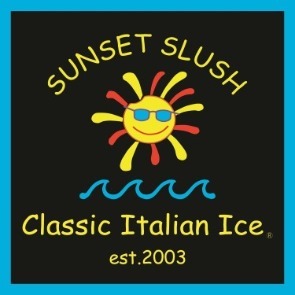 Sunset Slush also stands out for offering alcoholic infusions in their Italian ices. They also have an extraordinary blend that they offer called Gelati, which combines Italian ice with vanilla or chocolate ice cream. 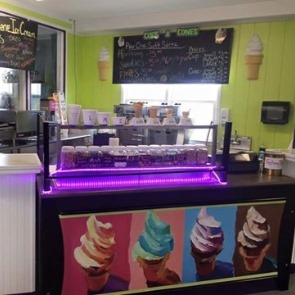 Located on the island’s peaceful and scenic fishing pier, this soft serve ice cream parlor offers up the classics done right. Enjoy a soft serve ice cream cone, cup, or sundae, or indulge in a soft and chewy cookie or an interesting blend of candy if you’re not feeling up to a cold treat. Afterward, take a stroll along the pier and go fishing, or head to the beach just steps away! A note: there is a $8.00 parking charge for all-day parking, unless you are fishing or a restaurant patron. 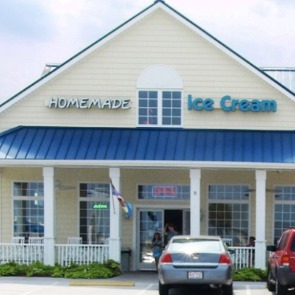 Contact our reservation specialists to find out more about these delectable treat shops and other fantastic places to stop and see during your time in Ocean Isle when you book your stay in one of our lavish vacation rental properties today! Find out about the treats in Ocean Isle Beach!